Gregory Griffith (CEO, CPC, MBA, CCFC, CTM Speaker, & celebrated author) has been a leader and motivator for over 15 years. He's a teacher, high school coach, bandleader in professional entertainment and a marathon runner, finishing his 16th marathon. Greg was inducted into the National Register's Who's Who in 2004. 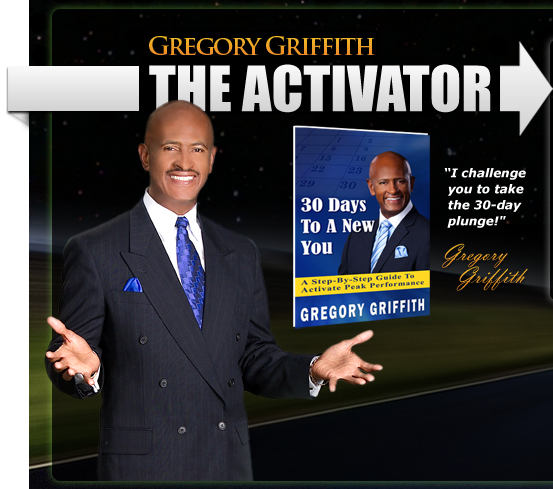 His tremendous energy and passion for life have helped thousands of people change their lives and "Get Activated"! Copyright © Gregory Griffith. All rights reserved. Call Toll-Free 888-80-ACTIV (888-80-22848). Site by LFM Design.